Fancy A Little Gothic With Your Christmas? ‘Tis the season for all things Christmas, but I for one am still thinking about Halloween and all things Gothic… partly because I love Halloween, but also because I recently did two things that have made the Gothic stick in my mind: attending the Terror and Wonder: The Gothic Imagination exhibition at The British Library, and reading the new collection of Horror Stories from Oxford University Press. First, to the Library. Now that I live in Oxford I don’t get the opportunity to go to exhibitions in London as often as I would like, so I jumped at the chance to visit this one as part of our day out for my boyfriend’s birthday recently (we also had dinner at Gaucho Sloane – very trendy and a bit ‘clubby’, but the best steak we’ve ever eaten). Having studied a few Gothic novels at university, including And Radcliffe’s The Italian, I knew a little of what to expect, but the exhibition provided so much more to think about than just the early Gothic novels. From Mrs Radcliffe it takes you through the Romantic poets (both generations), Frankenstein (there’s quite a lot about the fateful night at the Villa Diadoti where the idea for Frankenstein was conceived), through Edgar Allen Poe and Bram Stoker, and right up to twentieth century Gothic writers like Arthur Machen and H.P. Lovecraft. There were some beautiful and very cool ‘originals’ like an early copy of Frankenstein, a script for the film Hellraiser, a first edition of Matthew Lewis’ The Monk, and letters between some of the writers I’ve mentioned. Towards the end the exhibition became more and more about film, with a focus on Hammer Horror, as well as later movies like Hellraiser as mentioned, and The Shining (for which there was also an original script with notes by Stanley Kubrick). In short it was a Gothic and horror fan’s dream. We absolutely loved it and I would highly recommend it, even if Gothic and horror aren’t really your thing (and a trip to the BL is always nice isn’t it?). The gift shop for the exhibition was also amazing! It is a beautifully finished book that you just want to take care of. It has a classic ribbon as a page marker, meaning no folded over pages or crappy old bus tickets as bookmarks. It has also pleasingly thin pages that flop over in a very satisfying way. It is ‘so Oxford’ and a book they should be proud of. The content is as good as the production. 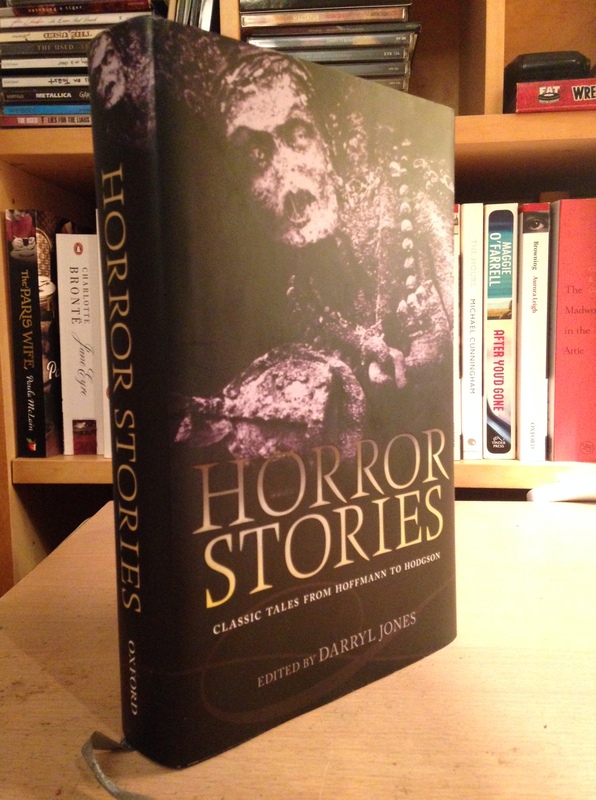 There are stories from some of the best and most famous horror writers, including Bram Stoker, Edgar Allen Poe, Sheridan Le Fanu, Arthur Machen, and Algernon Blackwood. But there are also writers here that I wouldn’t necessarily associate with horror, but who actually fit in rather well, namely Charles Dickens, Arthur Conan Doyle, and Rudyard Kipling. It’s also worth noting that the stories by the more famous writers were none that I had ever heard of or read, so that added some intrigue and excitement. This volume is also my first opportunity to read The Yellow Wall Paper by Charlotte Perkins Gilman, which is not only psychological and rather chilling, but also a groundbreaking piece of feminist literature. I’ve read it once and am sure I will have to read it again to be able fully grasp the depth of it. The narrator’s tone is so cheery throughout you could mistake it for contentedness, but as you read on, and reread certain sentences, it becomes clear she is anything but content. The ending really gripped me and I read the last couple of paragraphs more than once. There is something quite unnerving about it. But then, unnerving is something that the Gothic does so well. It creeps us out, amazes us, draws us in, and scandalises us with its horror and glory. 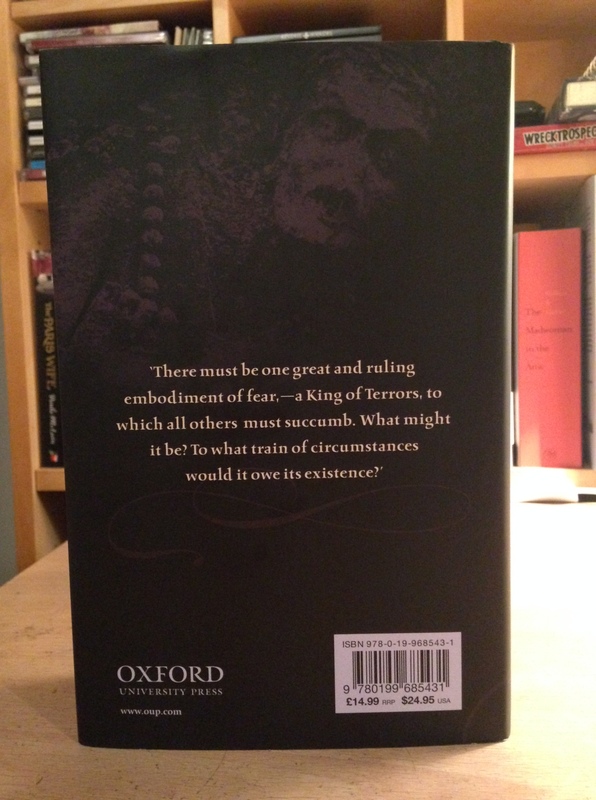 I have just finished reading The Raven’s Head (2015) by Karen Maitland, which was dripping with the Gothic, and it certainly did all of those things – as did all the stories in this brilliant new volume from OUP. I really recommend it as a Christmas present (as it’s so beautiful as well as brilliant) for the Gothic fan in your life – even if that’s you! It’s also a perfect example of the power of short stories, and their ability to enrapture you with deceptively simple means. I personally feel that Modernism (such as the stories of Katherine Mansfield) and Gothic are two of the best genres for short stories, and I intend to read more of both in 2015. 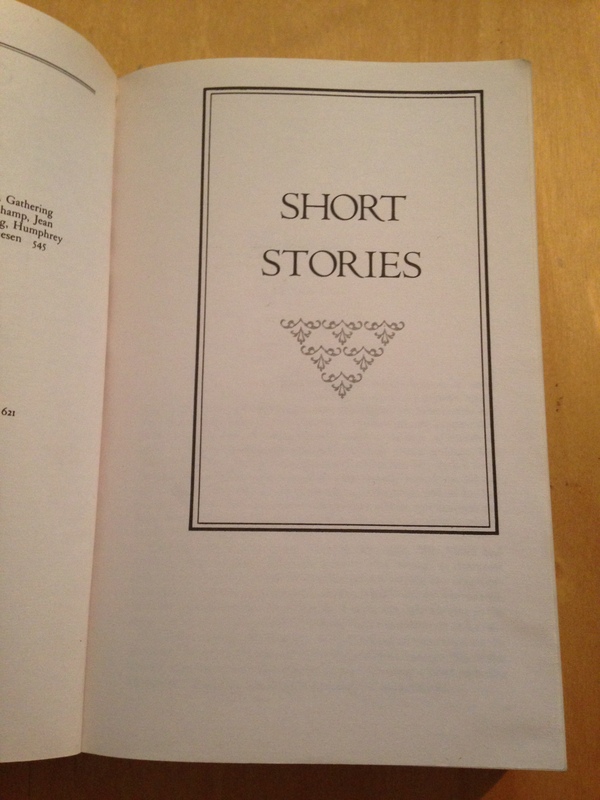 I’m sure there are lots of you who love short stories – why do you think they work so well? 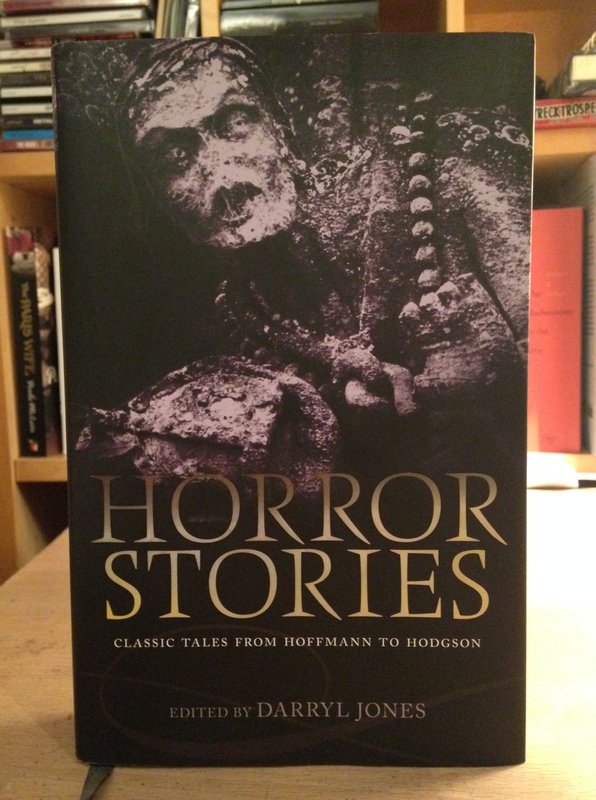 And will you be reading this new volume of Horror Stories? Or attending Terror and Wonder? It’s so good! 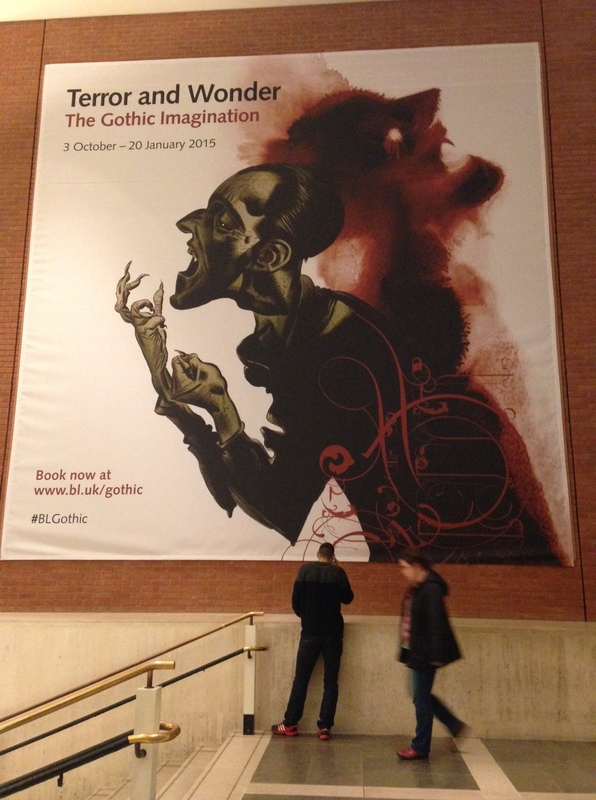 Terror and Wonder: The Gothic Imagination is on at The British Library until 20th January 2015. You can book tickets here. 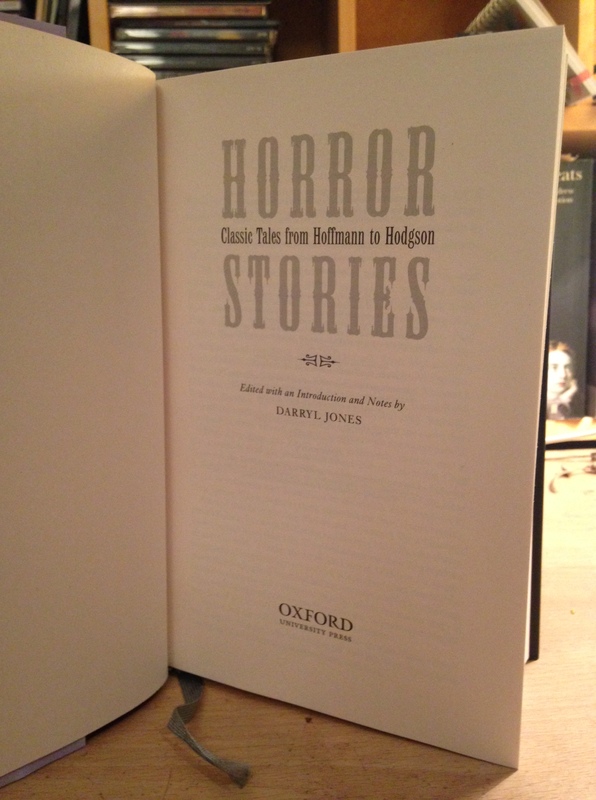 Horror Stories was published in October 2014 by Oxford University Press. My thanks for the publisher for the review copy. For those of you who have been following the Summer Capote Readathon that I’ve been doing with Kirsty of The Literary Sisters, you’ll know that we are reading from The Capote Reader – a sort of compilation of his best short work, including twelve short stories. We wrote about the first six of these at the end of July, and in August we read the second six of these. Enjoy! This story follows Sylvia, a lonely young typist in New York who takes a job just to get away from the “excruciatingly married” and rather narrow-minded couple that she lives with. That sounds simple enough, but really this is quite a surreal story – the centre of which is a man who buys dreams from people. They visit his house and sit in a waiting room and are ushered in by his assistant, Miss Mozart, rather like at a doctor’s surgery. Sylvia hears about him in a cafe and goes there only to see if she can make some money and move away from her irritating flatmates. In this story all the children seem to behave like adults – a Miss Bobbit is at the centre of it all, a ringleader who gets two particular boys (one of which is the narrator’s cousin) to work for her. They seem to think whoever does the best job will be chosen as her “true sweetheart” but when they mention this to Miss Bobbit she only says “sweetheart my eye”, calls them country children and asks what sort of businessmen they are going to be. All the boys seem to adore her, and she takes advantage of her status to ask for donations to finance her trip to Hollywood to become a star. She says they will all get 10% of her life’s earnings, and being so crazy about her they are more than willing to pay. The story begins with the fact that “yesterday afternoon the six o’clock bus ran over Miss Bobbit. I’m not sure what is to be said about it; after all, she was only ten years old, still I know no one of us in this town will ever forget her.” The narrator tells us that she never did anything ordinary, and I suppose that is why she has such an effect on the town, though she is only there a year. Right at the end of the story she is waiting to travel to Hollywood, and she is distracted by the boys playing the roses, and she runs to them – and gets hit by the bus. I’m not sure if there is supposed to be a moral here – perhaps the point in that no matter how extraordinary you are, you might still get hit by a bus like anyone else? I remember first reading this in an edition my sister had of Breakfast at Tiffany’s. It takes place in a prison, described as “the farm”, where a new prisoner arrives with a rumour that he owns a guitar covered in jewels. He is assigned to ‘shadow’ one of the older and more respected prisoners, and much of the story explores their developing friendship. They eventually plan as escape, but the older prisoner, Mr Schaeffer, knows that his young friend is “a terrible liar” and would spin yarns and promise “the world” if they escape. The guitar comes to symbolise the beauty of the world outside the prison that is somehow unattainable. It is a very vivid story, and filled with beautiful descriptions and very believable characterisations. Like a lot Capote’s short stories this one is quite sad, but I didn’t find it as dark as a lot of the other stories. It’s really quite lovely to read. In a way House of Flowers is also about unattainable happiness. Ottilie is fourteen years old and working in a brothel in Port-au-Prince. She is selfish and vain and is happy to manipulate men to get what she wants. One day she falls in love with a boy named Royal Bonaparte that she sees at a dance, and they run off together. They get married, and go to live with his grandmother – who happens to have a reputation as a “maker of spells.” She and Ottilie immediately clash, and the grandmother soon starts leaving bits of animals in her possessions as spells, the first being the head of a cat left in Ottilie’s sewing box. Ottilie promptly drops the head into the stew the grandmother is making, and continues to do this with every animal she finds. The grandmother comments on how good the food is, and asks Ottilie why she won’t have more – who replies that she doesn’t like cats in her stew, or spiders in her bread, or snakes in her soup. The grandmother then understands what Ottilie has done and promptly dies that afternoon – though it is not clear if it was the food or not. Ottilie soon believes that she sees the grandmother as a ghost, watching her. Her idyllic life as Royal’s wife as become dark and strange, but somehow their relationship seems to endure. It’s quite a surreal story, told with a certain distance and flippancy, and this makes it seem even more strange. This little story takes place entirely in a cemetery – and in some ways it is rather grim, and focussed on death. A gentleman, Mr Belli, visiting his wife’s grave is approached by a woman. They talk about their deceased family, and seem to get on well. She is a slightly odd young woman, but nice enough, and Mr Belli wonders why she is making such a point of talking to him – until she reveals that her friend has advised to look for a husband “in the obituary column”. Her friend has married twice that way, reading the obituaries of dead women and going to the cemetery to charm their widowers. It’s a strange practice, though she seems likeable enough. In the end Mr Belli manages to excuse himself, but he doesn’t actually seem that put off – maybe they will meet again one day. 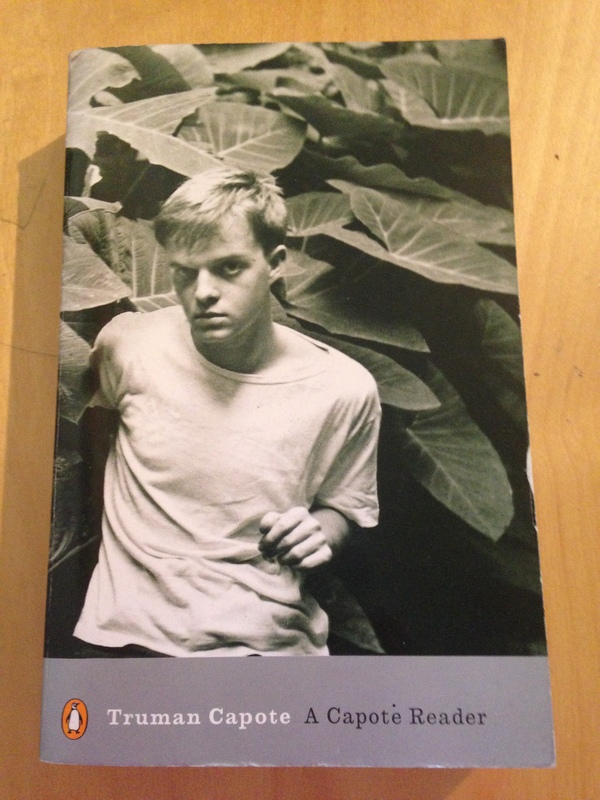 This is quite a late story of Capote’s, from 1975, and I think demonstrates an evolution in his storytelling. His gay characters are openly so, and the darkness that he often suggests within relationships is clear to see. Mojave is filled with damaged and unhappy relationships, which is not unique to Capote, but here the damage is more visible, the unhappiness is less tame. There is a story about an old man standing alone in the Mojave desert, who tells the story of a burlesque dancer he had an affair with, that takes up most of the text, and is quite surreal. To me it seems like Mojave is more about a state of mind, or being, than anything else. It contains several stories within in it, separate and yet connected, and is not as simple as it sounds. But then, you could probably say that about most Capote stories. You can see Kirsty’s post about these stories here. As part of the Capote Summer Readathon, Kirsty and I are reading the twelve short stories included in A Capote Reader. For July we have read the first six of these. They vary in length, style, and subject, and they are a joy to read. Which of these have or will you read? I first read this some years ago, and luckily I had forgotten some of the details. It is very short, even for a short story, and the premise seems very simple but really when you spend more time with it you realise that it is not. The story opens with a description of Mrs Miller, a widow living alone with “no friends to speak of”. Capote’s prose is calm and sparse, and seems to be just relaying facts whilst actually crafting an image of a life left unlived, of happiness left unfulfilled. Mrs Miller is alone in so many senses, though she seems content enough with her little life. Very quickly we have a very clear image of her current existence and the deep mundanity – and safety – of it. She goes to the cinema one night, and a young girl, all alone, asks her to buy her a ticket. She introduces herself as Miriam, saying it as if Mrs Miller should already know, and Mrs Miller exclaims that that is her name too. After a stilted conversation Mrs Miller goes into the film, and then goes home. But Miriam soon appears at her door, demanding to be let in and asking for food. She arrives in the middle of the night and Mrs Miller is not only groggy with sleep but utterly confused as to why this child has come to her house (and how she got the address), alone and so late. Miriam is eventually persuaded to leave, but that doesn’t mean Mrs Miller won’t see her again… This is such a clever little story, and I’ve really enjoyed reading it and trying to work out what was going on and who Miriam was, and why she behaved as she did. Not one to read late at night! Eunice and Olivia-Ann take a strong dislike (putting it mildly) to our narrator the first time they see him and constantly insult him. Margie is pregnant and fretful, and does nothing to help her husband. The climax of the story comes when Eunice accuses him of stealing money from her and the situation becomes hysterical. Our narrator stays completely calm until the black maid joins in the argument, at which point he beats her over the head with an umbrella (the story is set in Alabama in 1945 – not that excuses it!). Eunice grabs her father’s Civil War sword and attacks him. The story ends with our narrator having barricaded himself into the room, with the others knocking on the door intermittently and begging him to come out. “Oh, yes, they’ve started singing a song of a very different colour. But as for me – I give them a tune on the piano every now and then to let them know I’m cheerful.” It one of the oddest little stories I’ve ever read and I’m still not quite sure what to think of it. Another funny little story, but to me this one has much more depth and mystery than My Side of the Matter, which is relatively straightforward. Tree of Night takes place on a train – already we are trapped and claustrophobic, suspended between destinations and speeding towards the unknown, all at the same time. A young woman takes the only seat in a busy and litter-strewn carriage, next to a woman and her silent male companion. The young woman is polite and replies to questions, by the older woman seems intent on talking to her and is easily offended. She and her companion do not quite seem normal, the more we look at them, and we fear for the young woman’s safety. She tries to be free of them more than once, even going to stand outside by the railing, but she is compelled back to them. Though nothing bad happens outright, there is a distinct air of unease and threat throughout this entire story, and the image of the ‘tree of night’ is very vivid and unsettling. It is not a literal tree but rather a feeling of something growing and spreading in the darkness, towering over you. There is also the fact that a tree is planted in the ground, ancient and immovable, something that little old you couldn’t destroy. It is not just in the night but of the night, a part of the darkness and something that does not belong in the light of day… I wondered if the young woman was still haunted by it after her train journey. I think this story is deceptively simple. The basic idea is that when a competing drugstore opens across the street, Mr Marshall wants to draw customers in the small town back to his store, the Valhalla. So he comes up with a gimmick – a huge glass jug filled with coins. Customers must try to guess how much is in the jug, and if they are correct they win the money – and they have to buy something in order to add their guess to the list. And of course it works. The whole town comes out to try and guess the amount, spending money at the Valhalla all the while. One customer is a boy called Appleseed, obviously very poor, who turns up with his sister Middy. They need money for their family, but also because Middy needs to get her teeth fixed if she is to fulfill her dream of being in the movies. Appleseed is strange character, small and badly dressed, badly spoken, but determined to find out how much is in the jug. He announces that he will simply count the coins, though of course he can only see the ones on the outside and no one believes he can do it. He travels three miles every day on foot (there and back) to sit in the shop and work out how much is in the jar. He doesn’t buy anything until the last day, when his brother has earned a bit of money and he can afford to officially make his guess. And do you think he was right? The whole crowd gather in the shop to find out the amount, all eager to win, and of course Appleseed is there. The story ends quite neatly, with Appleseed becoming a town legend. I think perhaps Capote is trying to make a point about faith and redemption, and in the end the story does have quite an uplifting tone. Which is rare for Capote’s short stories! After I read this story, I sat thinking about it for a while – and I think I get it. It is one of Capote’s most complex and surreal short stories, and centres around a man, Vincent, who forms a stilted relationship with a girl who will only identify herself as DJ. He sees her on the street and at the theatre, and she then comes to the gallery where he works to sell a painting she has made. She leaves before he can pay her, and he keeps the painting – which features the headless hawk of the title – for himself. They are obviously intrigued by each other and very quickly form a sexual relationship. She seems to have barely any possessions, or anywhere to live, and she stays with him for a while. She doesn’t speak much, but when she does it is often about someone called Mr Destronelli. She says he killed her beloved music teacher, and that he is out to get her as well. Towards the end she explains that almost all the men she has known were him – whether she thinks this literally or not is unclear. She is clearly unbalanced in some way, and by the end you think she might really be crazy. But what about Vincent? Our protagonist this time is Walter, a young man who doesn’t seem to know what he wants. He gossips behind friends’ backs and doesn’t understand why they are upset, and even sleeps with the girlfriend of his best friend without thinking anything of it. All his relationships seem to fail, and to me he seems like a very selfish, quite heartless person – but he doesn’t necessarily know that about himself. The frame of the story is Walter arriving at a hotel in New Orleans, having travelled from New York. We don’t really learn why he is there, only that he is afraid to leave the hotel in case he gets lost – “if he got lost, even a little, then he would be lost altogether” – and lies on the bed, tormented. He pores over his failed relationships and friendships, going over and over them, but not seeming to try to and work out what he did wrong. He is a man who has made himself suffer, but does not have the self-awareness to realise it. I have to say I didn’t enjoy this story that much, but I found it very interesting and wondered what prompted its writing. I must say my favourite of these stories has to be Miriam – though they are all brilliant, there is something about that story that really sticks in my mind, and that I thought about long after reading. I’m eager to read more! You can read Kirsty’s post about these stories here. We will be posting about The Grass Harp tomorrow (31st July), and in August we will review more short stories, as well as Breakfast at Tiffany’s and Summer Crossing, Capote’s early novel that was only discovered and published in 2005.